Germany’s second largest city lies on the river Elbe approximately 100 km away from the Northern Sea. The long history of its port, one of the biggest in the world, allowed the city to flourish and become a vibrant metropolis and a melting pot of intercultural life. While the main part of the city lies on the north side of the river, the southern part is characterised by vast industrial areas, flourishing districts and the starting location for the GTIME programe - TUHH. To get information regarding the course content at TUHH, please click here. 1.8 million inhabitants from 183 countries create countless opportunities to engage in all types of culture. 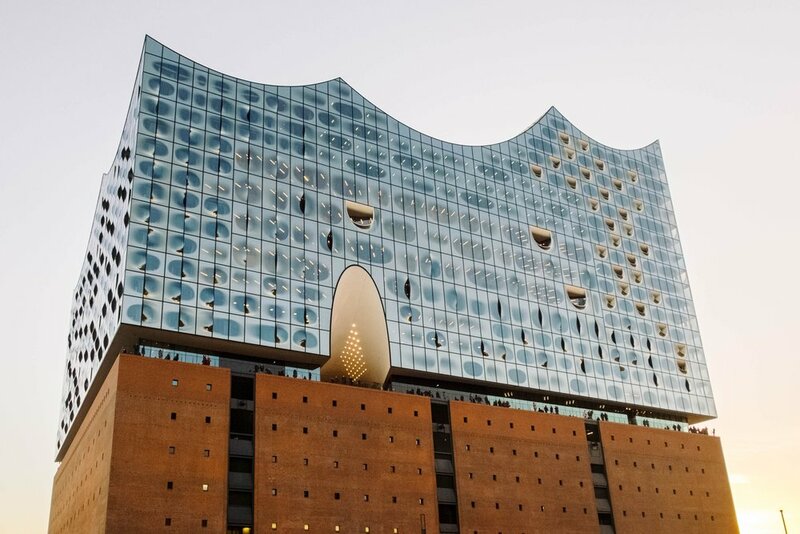 The newly built Elbphilharmonie (left) is undoubtedly the most prominent example. Its modern architecture, the free observation deck and its diverse range of concerts is a good starting point to explore the centre of Hamburg. Located next to it, is HafenCity, Europe’s biggest inner city development project. These areas reaching to the shores of Binnen- and Aussenalster form the centre of the German city. As a port city, Hamburg is naturally linked to industry. Whether your interest lies in logistics, manufacturing, service or other fields, the area of Hamburg offers numerous options to engage in jobs during the course and after finishing it. World-renowned firms such as Hapag-Llloyd, Lufthansa, Airbus or Beiersdorf employ thousands of local people and contribute to Hamburg’s economic power. Next to these large firms, many small and medium-sized organisations are located around the metropolis. In Germany, the Mittelstand - small and medium-sized, family-owned businesses - is very dominant and seen as the driving engine for the countries economic success. These firms often possess specialist knowledge, a long-term perspective and supply bigger international cooperations. Next to LinkedIn, Xing is Germany’s popular network for job searchers and industry news.